Within this open loft condominium, a strangely inaccessible and residual space is converted into a study for a young professional couple looking to expand their family. 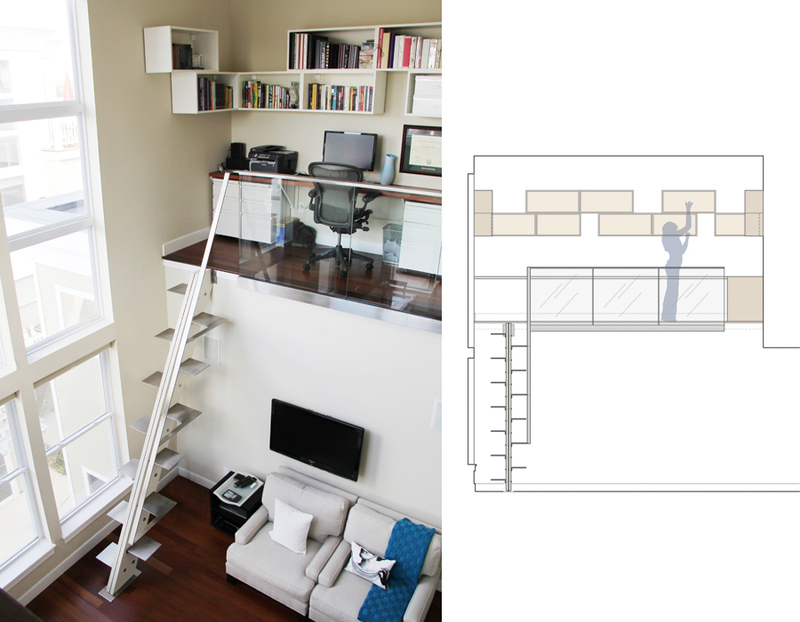 Integrated into the 16 foot by 5 foot shelf space is a desk with two workstations, shelving for storage and display, and a alternating tread stair with guardrail. The legibility of construction for these new components and simple expression of off-the-shelf parts help give scale and sophistication to this otherwise ordinary loft.